Michael DePasquale Sr. met his teacher, Junji Saito for the first time in January of 1960. At the time Mr. DePasquale Sr. was employed as a railroad police officer. One night while he was traveling to the Pennsylvania Station, NY to pick up work papers related to freight thefts, he chanced to meet his future teacher for the first time. Saito Sensei had just arrived at the station himself from Philadelphia. Saito Sensei can be described being very small in stature, 5 feet tall and very slender with a full head of white hair. Saito Sensei was not very strong looking, was very soft spoken and wore wire framed glasses. This all added to his appearance and the impression one got when meeting him for the first time. Shihan DePasquale Sr. described Saito Sensei as having ability far superior to anyone he had ever met, and that his ability was to teach was unsurpassed! He had a way about him to make people listen attentively and understand as he passed on his martial arts knowledge. Soon after arriving in the United States Saito Sensei took all of his favorite techniques from the systems he had studied and combined them into a system that became known as Yoshitsune Jujutsu. His thought was these techniques were more suited to the larger physique and self defense needs of Americans. 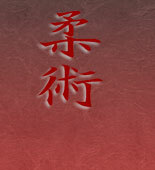 In addition, Saito Sensei transmitted the Hepi Ryu system of Bo Jutsu at the Yoshitsune Dojo. Michael DePasquale Sr. founded the Yoshitsune Dojo in 1961. He trained in and taught traditional, authentic Japanese Jujutsu for more than half a century, and was commissioned as Shihan ("master instructor") in Hakko Ryu Jujutsu by Soke Ryuho Okuyama of Omiya, Japan. DePasquale’s principal instructor for more than 26 years was Junji Saito, a Shihan Menkyo Kaiden (master instructor with all of the style's secrets). In 1964, Shihan DePasquale performed Jujutsu demonstrations at the Japanese Pavilion of the New York World's Fair. 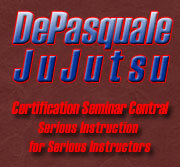 Upon Junji Saito’s passing in 1988, Michael DePasquale Sr. became the headmaster of the Yoshitsune Jujutsu system. Shihan DePasquale is regarded by many to be the father of American Jujutsu who started his Jujutsu training in 1944 while a member of the CID Division in the US Army. He received numerous awards and distinctions during his life time including his induction into the Black Belt Hall of Fame, Jujutsu America’s Hall of Fame and was the recipient of a Lifetime Achievement Award from Black Belt Magazine. He remained Yoshitsune Jujutsu’s headmaster until his passing in October, 2006. His son, Michael DePasquale Jr. is now the headmaster. Michael Jr started his training under his father’s guidance at the age of 6 and has been awarded numerous awards and distinctions as well, with over 60 differe nt awards from members of his peers, Jujutsu America’s Hall of Fame, Battle of Atlanta Hall of Fame, Blue Grass Grand National Hall of Fame and many others. He has published 3 different magazines, his last one being Karate International Magazine, as well as 8 different books his first one being Simon and Schuster’s 1977 Monarch Illustrated Guide to Ju-Jitsu. He is till this day a sought out seminar leader teaching the Combat and Traditional Yoshitsune Ju-Jitsu that was taught to him buy his late father. East Coast Grandmaster Michael DePasquale, Sr. Receives Lifetime Achievement Hall of Fame Award fromWorld Renound Black Belt Magazine.